Thanks to your feedback, Swimia has become in just a number of months one the most very important sites of swimming pools. 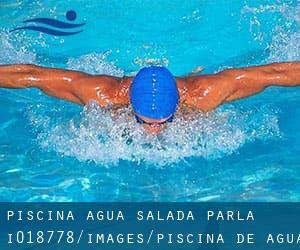 Here you might have all the info we know about Piscina de agua salada de Parla, in Parla. Do you know the opening hours? Are they offering any course? What's the cost to get a single swim? Don't forget you can also promote this pool so Piscina de agua salada de Parla will appear the first of Parla, or even the very first of your country, get in touch with us to know far more. Swimmers like you reported 25 meters, 5 lanes, Outdoors, Salt Water, Non-Chlorine Sanitized. Unfortunately we do not have the email address of this Swimming Pool, but we can provide you with the phone number. If you believe that any of the info is incorrect, please get in touch with us. Enable us be better day-by-day. Updated on 2019 C/ Lago Azul esq. Avda de Las Lagunas 28981, Parla (Madrid). Swimmers like you reported 25 meters, 6 lanes, Indoors. Phone number and e-mail address are number for this Swimming Pool. Updated on 2019 Avenida de los Planetas nº 42 28983 Parla (Madrid). This sports center offers 25 meters, 6 lanes, Indoors. Contact information for this Swimming Pool such as phone number and e-mail address are number. Avenida Juan Carlos I , Parla , Spain (Postal Code: 28980). This great and large sports center lets professional swimmers like you enjoy Olympic size, 8 lanes x 21 meters, 8 lanes x 21 meters, 16 lanes, Indoor/Outdoor. Additionally, within these facilities you can try 25 meters x 12.5 meters, 6 lanes, Indoors. Unfortunately we do not have the e-mail address of this Swimming Pool, but we can give you the phone number.